Trainers, the Pokemon GO in-game map was updated, now featuring the latest changes that were added to the Open Street Maps data set. We are still working to confirm the reach of this change, but it seems it’s a worldwide change. It all started yesterday, with a number of Australian players reporting that the map was changed in various areas around Melbourne. A number of reports from other Australian regions soon followed, but there were no further reports from other parts of the world. A similar thing was later observed in various other parts of the world, especially in places with high housing concentration. It seems that a number of residential areas are no longer visible on the map, following an import of the fresh OSM data set. 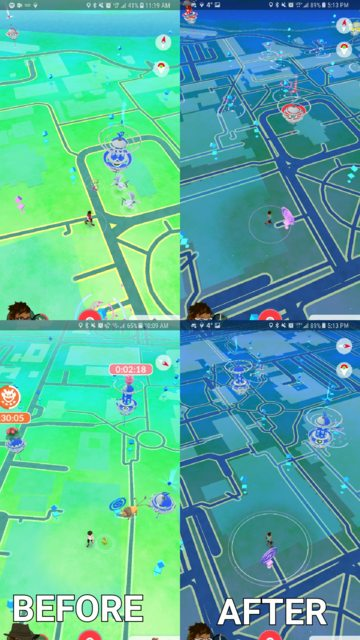 Interestingly, players have reported that the update is purely visual, bringing no new spawn points or nests. This is, of course, subject to change in the future, but as of now, it’s a purely cosmetic change. Has the map changed in your area? Let us know in the comment section below! The post In-game map updated: OpenStreetMap data imported, notable changes all around the globe appeared first on Pokemon GO Hub. What are Damage Breakpoints in Pokémon GO?